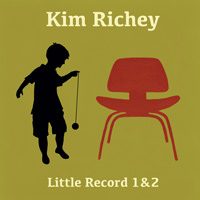 [Kim Richey] would rule the charts in a land where Marshall Crenshaw was king, Aimee Mann queen, and the The Beatles never put out another record after Revolver. Richey entices you with sad and unembellished music that reveals an original spirit - and then she ensnares you for keeps by making you consider all the noiseless sensations that no songs can ever contain. As Duke Ellington said, "There are only two kinds of music: good and bad." At a time when music is all about labels, it's refreshing to find an artist who doesn't easily fit into a box, who is broader than just one category, who is simply "good". 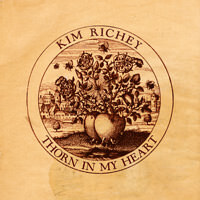 Kim Richey is just such an artist. 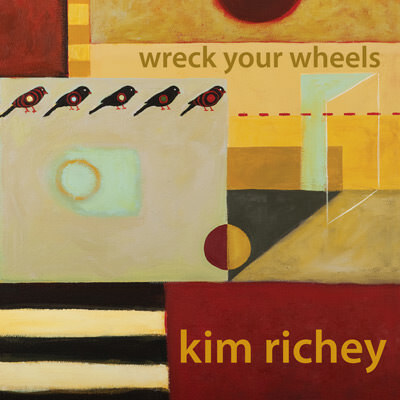 Kim's sixth album, "Wreck Your Wheels" is a return to her more Americana roots. 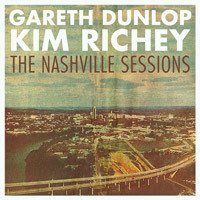 Heading back to Nashville to record with her touring band, this album was all about getting an organic, real sound: no auto-tune, no studio tricks - just five musicians in a room, playing together. "The core band on this record went out on the road with me for my last record, "Chinese Boxes", and they are friends," says Kim. "We had a great time making the record – we recorded all in the same room at the same time, which was very cozy. It's a small studio. We used the front seat of the producer's Honda pulled up next to the door as an isolation booth for the electric guitar amp." Lyrically driven and beautifully produced, "Wreck Your Wheels" is a record that gets into your head and heart and stays there. So does it matter whether it's Americana, Alt-country or Pop? We say, forget the labels. Just listen to the music. Decide for yourself.